"TAGS : This Post about Bus pass application - APSRTC introduced online application for student bus passes - www.apsrtcpass.in |Andhra pradesh state road transport corporation - Providing Bus pass application online | how to apply for a bus pass online | school bus application form | apsrtc student bus pass student bus pass application form | applying for a bus pass online | download student bus pass online | bus passes for students | bus pass form download |rtc bus pass application form | online student bus pass application | http://www.apsrtcpass.in/." Andhara Pradesh State Road Transport Corporation owned by Government of Andhra Pradesh Introduced Online Bus Pass application form for who are studying 10th class or above 10th class students can apply their student buspass online. It is really good news for Andhra Pradesh students who safariing problems for pay apply bus pass with long length Que. Here don't waste time for applying student bus pass, with out standing in long length for long time. Students can get student bus pass through online. they can apply their bus pass online at home. just required computer with Internet connection. students can apply their bus pass with in minutes. 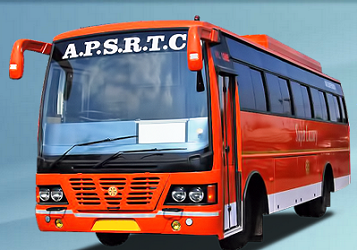 APSRTC ( Andhra Pradesh State Road Transport Corporation ) providing lot of online services through their own official website http://www.apsrtconline.in/ like as online bus tickets booking, online Bus tickets status, Bus tickets Cancellation, Search for bus-tickets, Advance reservation facility is provided through Online. APSRTC their Services are operated connecting major cities and Towns in Andhra Pradesh (Visakhapatnam, Vijayawada, Kakinada, Rajahmundry, Vizianagaram, Srikakulam, Guntur, Eluru, Ongole, Nellore, Chittoor, Tirupathi, Anantapur, Kadapa, Kurnool etc.) and Telangan state (Hyderabad, Sangareddy, Mahabubnagar, Nalgonda, Miryalaguda, Warangal, Karimnagar, Nizamabad, Bodhan, Adilabad, Nirmal, Khammam, Bhadrachalam etc) and Surrounding states Mumbai, Pune, Shirdi, Nagpur, Bengaluru, Chennai, Vellore etc.Tour packages also announced through their website. How to apply Students Bus pass through online application form ? Andhra Pradesh students who are applying bus pass,studying 10th class or above 10th class, those students can apply their bus pass online through APSRTC ( Andhra Pradesh State Road Transport Corporation ) official Students bus pass website http://www.apsrtcpass.in/ . .
Click on " STUDENTS BUS PASS UP TO SSC"
After filling the Application form Click on "Submit" Button. Download the Application form and Bus pass. Click on "STUDENTS BUS PASS ABOVE SSC"